When starting off the new year, it’s always important to stay focused on your goals and to take time to reflect. Here are three of our favorite journals and notebooks that are sure to make writing a lot more fun. Sweet words. This brand new Follow Your Heart spiral notebook is perfect for daily thoughts and notes. Gold foil lettering and a bright pink heart make a dramatic statement against the black background. 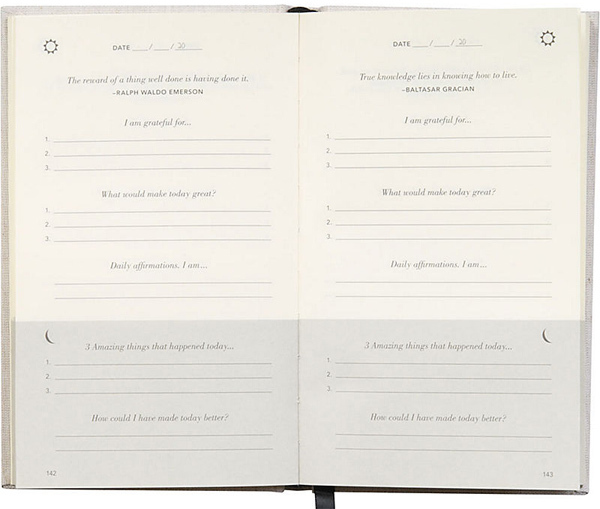 This journal provides a positive message year-round. Make it your own. 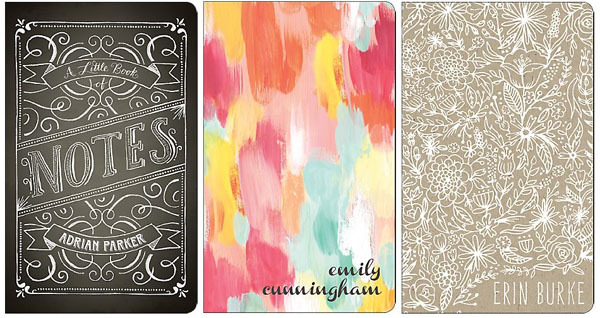 We’re super excited about our new personalized journals! With over 40 original designs (all exclusive to Paper Source!) to choose from, plus 25 fonts and 4 inner page designs, you can create a custom design that’s perfectly you. I absolutely LOVE journaling. It is so releasing! I especially love using Paper Source journals, particularly the Rifle Paper Co. ones because they are light-weight and easy to carry in my purse. I journal through my feelings a lot instead of acting the feelings out. I also journal for 5 timed minutes every morning and it has changed my life! Thank you, Paper Source, for making journals that are beautiful and make my journaling experience even better! !